Kaki King explains how to use the guitar as a percussive instrument. so fun i could cry! @bluesman1 you need an electric acoustic and compress some to get better results. For unplugged volume levels, keep doing that. Like how your left hand fingers got used to it and you startaed to do it easier, you'll get it too. Just be patient and be sure it sounds right while practising. Oh I've got that, tune down guitar to be it is easier to play, press 2 notes most of 3, then using the same arpeggio with right hand, press some notes. If they are fine, go to the next chord haha. I'm sorry guys, her songs may be great which they are kind of average in my opinion, this is nothing new, she is not good at playing. Go ahead and learn from the others to do that stuff for real nothing technical from that woman. Maybe in writing but, Lauren Passarelli for that so, why bother? Really interesting stuff. Didn't even know you could do that on the guitar. Well done! I love this style. I feel like she is saying to be more of an artisit and play and drive the music and enjoy the ride . not let the note make or break you. She and her music are sooo beautiful. I really enjoy these lessons. 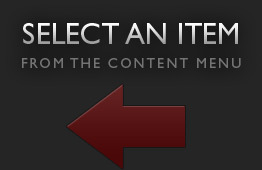 I'd love some more Kaki material. I'm having a much easier time with it on my electric. Any advise on using these techniques unplugged? really deep thought I wonder what your total music background is? Renowned guitarist Kaki King teaches musicality, altered tunings and percussive elements in her artist series. To start off her artist series with JamPlay, Kaki King sits down with the JamPlay staff for an exclusive interview. Kaki King discusses changing your tuning by one note, or one half step to open up new possibilities. Kaki King explains how to keep a rhythmic backbeat on your guitar. In lesson 5, Kaki demonstrates how you can use variations on fingerpicking patterns to spice up your playing. In lesson 6, Kaki discusses how the left and right hands can work together or independently of each other to create different timbres. Kaki King demonstrates how to count and play the 5/4 time signature. She demonstrates how she uses this odd meter in her own playing. Kaki King discusses and demonstrates a two handed tapping technique for acoustic and electric guitar. Kaki King demonstrates single note tapping on the electric guitar. Kaki King discusses the importance of the left hand pinky. She provides several strength building exercises. Kaki King demonstrates how muted strumming can be used to create dynamics and depth in your playing. Kaki King discusses some of the reasons why you may want to experiment with altered tunings. 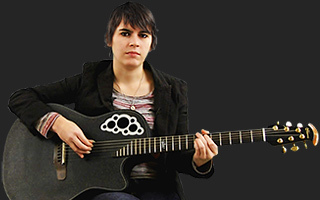 Kaki King provides an exercise that combines a tapped bass line in the left hand and a tapped chord in the right hand. Kaki King provides a monologue about musicality and how it relates to the music industry. She talks about uniqueness, labels, and record contracts. Kaki uses her song "Carmine St." as a basis to teach over the neck bass tapping. This technique is not purely for show! Learn some practical applications in this lesson. Kaki King takes another look at over the neck tapping. This time you'll add right hand fingerstyle technique into the mix. Once again, excerpts are taken from "Carmine St."
Kaki King demonstrates how she uses "false" or artificial harmonics in her playing. She discusses where it might be appropriate to inject this technique into your own playing. Kaki King discusses how to create tapped bass lines using the over the neck tapping technique. This skill is usually associated with Michael Hedges' playing. In lesson 23 of her artist series, Kaki King demonstrates a signature riff that she uses for transitional purposes. This riff will also help you build dexterity and strength in your fretting hand.